Well there's nothing like a new pattern release to spark a bit of blog writing! “Greyson” - son of the grey-haired man. This pattern has been affectionately written and named for the men in my family, my distinguished looking silver haired husband and our delicious sons. I'm actually really proud of this pattern - written in 3 yarn weights with 14 sizes (for each yarn) from NB (15") to 10-12 years (28"), I think this is a pattern people might like to knit more than once. I've knitted 6 of them already! And one of my testers Rachel has knitted 3 already too! Greyson is a classic raglan style V-neck sweater – all ready for you to personalise as you wish!Simple to knit, with a straight forward and easy-to-follow pattern, it is knitted top down and seamlessly. And I've got a quick knit a long for it running till the end of August too - come and pop over here and join in! This pattern is also accompanied by a fabulous Watermellish PDF for argyle charts for duplicate stitch, which are worked if you wish after your sweater is knitted. These are included for both the vertical and horizontal argyle with both a unisex diamond shape as well as an alternative heart chart. They are very straight forward - an excellent introductory duplicate stitch project if you’ve never attempted it before! You can buy a copy by clicking this buy now button - it is selling for $6USD. Hmmm - and how about a little pattern giveaway whilst I'm at it? Leave a comment here with your Ravelry name and I'll randomly pick a commenter tonight to gift a copy of the pattern to. If you've already purchased it then I'll refund you the pattern price instead! Sam - Embeca .... Congrats Hun it looks FAB!!! It's a gorgeous pattern. I can't wait to get it and cast on. Classic and suits all occasions. Well done you (again)! Can't remember my Rav name - might be greaney or greaneya? I've been dying for this to released already! I'm sure my baby is going to be a boy and he'll be the son of a grey haired man too. I have to make him one or two! Perfect, I love this pattern, can't wait to give it a go! 2monkeysmum..... Thanks for the chance! ChevGirl - congrats again Julia - I want to make another too. I would like to gift the pattern on to someone as a surprise! Would love to win to gift this to someone! It's a great pattern, and quite unisex! Rav name is Noisybabe007, but want to gift on! Love seeing these FOs. Cant wait to knit it. Gorgeous! Been waiting for this one!! Congrats on another gorgeous pattern !! Would love to win this to knit one as a gift for my new nephew! Gorgeous pattern Julia! Love it! I have three boys, so this pattern will be well used in my house. LOVE the argyle touch too. My ravelry name is vanzH. Congratulations on your new pattern release - I would love to win a copy. Rav name Nataliem3. Thank you so much - have had a lucky night tonight. Congrats on the new pattern release! 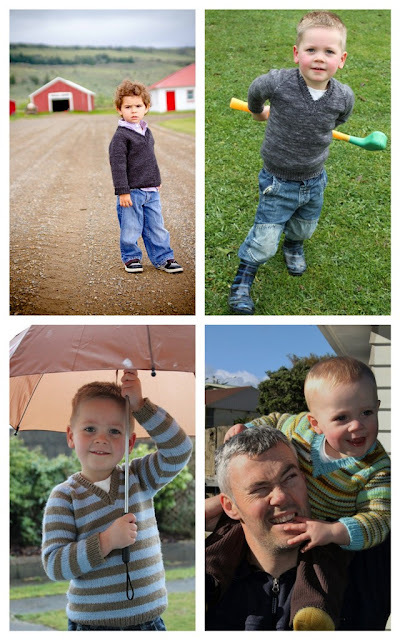 I would love to knit one for my little man! Ravelry name is scubaj43. That looks like a wonderful pattern, I like basics for boys. 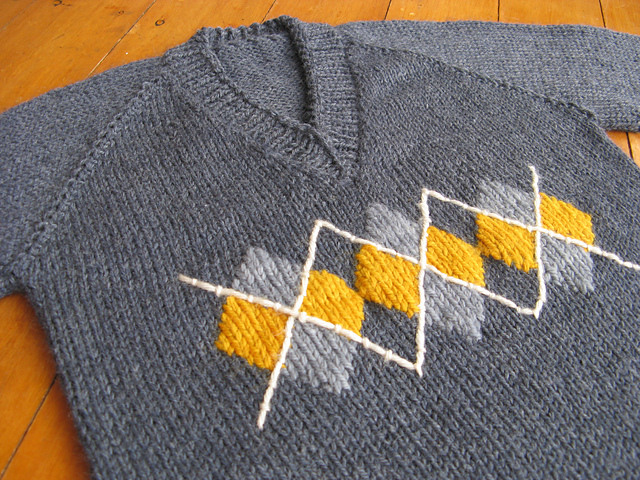 Rachaeld, congratulations Julia, I can't wait to knit this one up... just need to find someone to knit one for first. Congrats on the release. Ms 12 says this is pale grey with pink argyle is the go, so would love to win a copy. I am hoping to get this sweater made for my niece's new baby. AliGKnits - would love to add this pattern to my collection :) It looks fab! Congratulations on another awesome pattern! just love a simple classic pattern! my boys (10 and 7) might just go with this one!